Wayne R. Madore, 69, of Bristol, died on Monday, Jan. 21, 2019, at Bristol Hospital. Wayne was born in Van Buren, Maine, on Aug. 23, 1949, and was a son of Roger Madore of Bristol and the late Claire (Castonguay) Madore. He lived for most of his life in Bristol and was a graduate of Bristol Eastern High School. He owned and operated his own carpentry business, New Dimensions. Wayne enjoyed working out and camping. He was a gun enthusiast who also enjoyed hunting, fishing, and working on Vehicles. 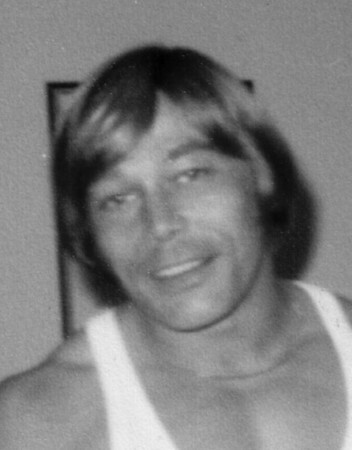 In addition to his father, he leaves three sons, Justin Madore and Jenn Dube of Plainville, Jobey, and Shea Madore of Bristol; seven siblings, Charles Madore of Palmetto, Fla., Roger Madore, Jr. of Newberry, Fla., Ann Grabowski of Farmington, Mary Hickey of Burlington, Rhonda Keel of Bristol, Peter Madore of Middletown, and Stephen Madore of Wolcott; his two beloved grandchildren, Mia Elizabeth Madore and Mason Wayne Madore; and many nieces and nephews. A Mass of Christian Burial will be celebrated on Tuesday, Jan. 29, 2019, at 10 a.m., at St. Joseph Church, 33 Queen St., Bristol. Burial will follow in St. Joseph Cemetery, Bristol. There are no calling hours. In lieu of flowers, memorial donations may be made to the Juvenile Diabetes Research Foundation, 26 Broadway, 14th Floor, New York, NY 10004. Funk Funeral Home, 35 Bellevue Ave., Bristol is in care of arrangements. Visit Wayne's memorial website at www.FunkFuneralHome.com . Posted in The Bristol Press, on Thursday, 24 January 2019 18:11. Updated: Thursday, 24 January 2019 18:20.